Danielle Keeling chose our Business Management course because it was accredited by the Chartered Management Institute (CMI). It proved to be an inspired choice as she is now on CMI East Midlands Regional Board and has been named CMI Student Ambassador of the Year. 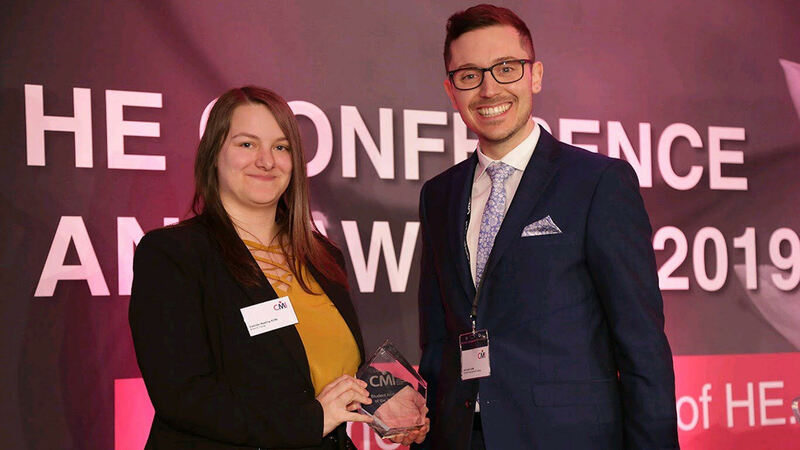 Danielle Keeling won the prestigious CMI Ambassador of the Year Award at the CMI HE Awards 2019. The awards profile outstanding students and establish student role models. 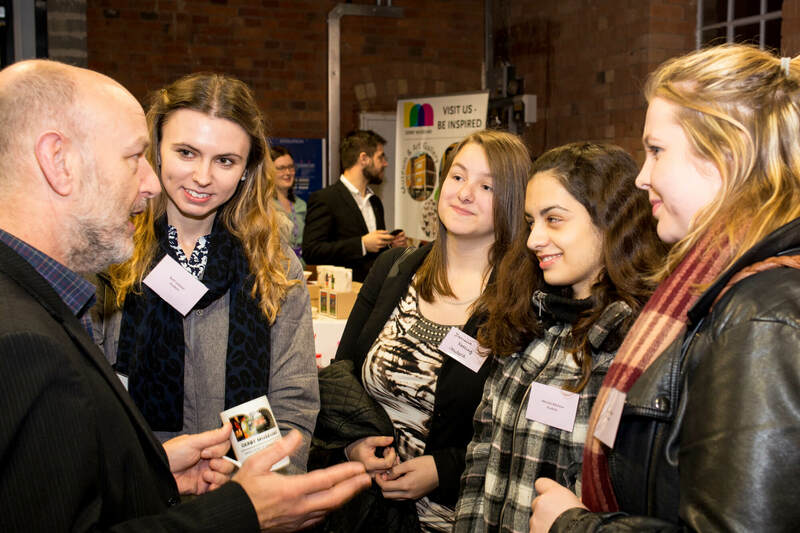 “I am very proud of what I have achieved whilst being a CMI Student Ambassador and I thoroughly enjoy sharing my experiences in an effort to support both new and existing ambassadors throughout the Midlands and the rest of the country." The chance to gain a degree accredited by the CMI was a major deciding factor for Danielle when she chose the BA (Hons) Business Management at Derby. She says: “I wanted to stand out from the hundreds of thousands of other UK business graduates and this course offered me an extra CMI qualification – the Level 5 Diploma in Leadership and Management – on top of my degree." Her strong engagement with the CMI has led to an influential role in helping the institute develop relationships with students even further afield. 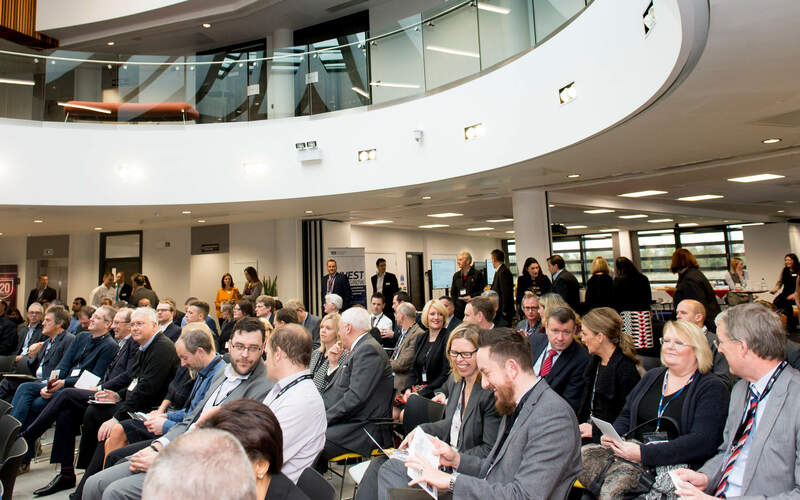 Having been appointed as the University’s CMI Student Ambassador, Danielle went on to launch and chair a CMI Student Board and joined the CMI East Midlands Regional Board. She has since supported other institutions to launch their own ambassador schemes and has addressed 400-strong audiences at CMI conferences. Such has been the impact that Danielle has been able to work on a self-employed basis alongside her course, offering marketing, business development and management consulting services to small businesses. She has also undertaken short placements with organisations such as The Prince’s Trust. Her involvement with the CMI has played a substantial role in her personal and professional development. As recognition for her contribution to the CMI she received two rewards, the first being an invitation to the CMI’s Annual Presidential Dinner in London and the second being a personalised award presented to her by the Chair of the East Midlands Regional Board in March 2018. After completing her final year assignments in July 2018, Danielle achieved a First Class Honours result. Shortly after she was recommended for a CMI research project by a member of the CMI central team. Within a few weeks of this opportunity Danielle was offered a permanent position with Ernst & Young in Birmingham, who were very impressed by her CMI experience. "There is no doubt that my involvement with the CMI ambassador scheme helped me to secure my dream role within just a few weeks of finishing university." I am very proud of what I have achieved whilst being a CMI Student Ambassador and I thoroughly enjoy sharing my experiences in an effort to support both new and existing ambassadors throughout the Midlands and the rest of the country." Danielle is still working with the West Midlands CMI Regional Board and she looks forward to continuing her involvement with the Chartered Management Institute for years to come as a fully certified Associate member.